This would make a great present for a Mom or Grandma – and the feet can be made with one from each household member – hands could also be used instead of feet. Lettering can be made with stencils and transfer letters and thick watercolor or finger paints should be used for the prints. 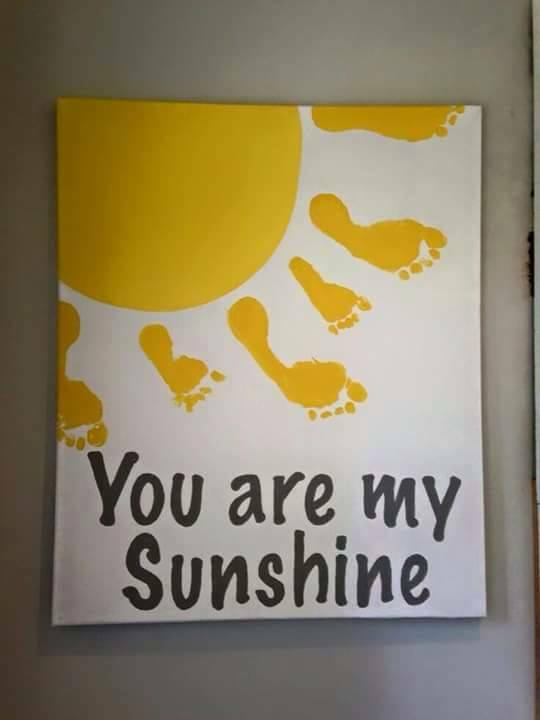 This entry was posted in Crafts ~ DIY ~ Projects, Home, Car, Yard, and Pets, ~Childrens Activities, ~Decorating, ~Gifts, ~Mother's Day and tagged are, feet, finger, foot, footprints, gift, hand, handprints, letter, letters, my, print, prints, stencil, stencils, sun, sunshine, transfer, yellow, you. Bookmark the permalink.